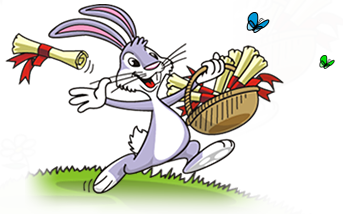 Letters from The Easter Bunny Get a Personalized Letter from The Easter Bunny Online Today! "Send a Personalized Package from the Easter Bunny!" Ships directly to YOUR child! Personalized Package from The Easter Bunny! Amaze Your Child This Easter! The experience and memories of a good Easter Bunny Letter can last a lifetime, for both the children and the parents. Now there is a foolproof package that Peter Cottontail himself has put together. It's a very special package containing the personalized Easter Bunny letter that is sent to only the very best boys and girls. 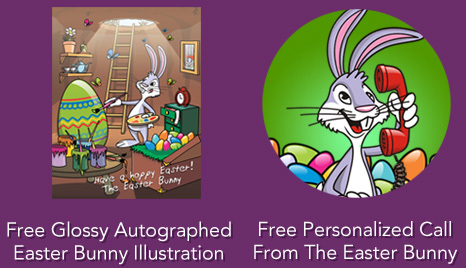 It's a treasure chest of authentic, custom Easter Bunny goodies, sent right to your child! The whole package of proof is waiting with YOUR CHILD'S NAME ON IT! 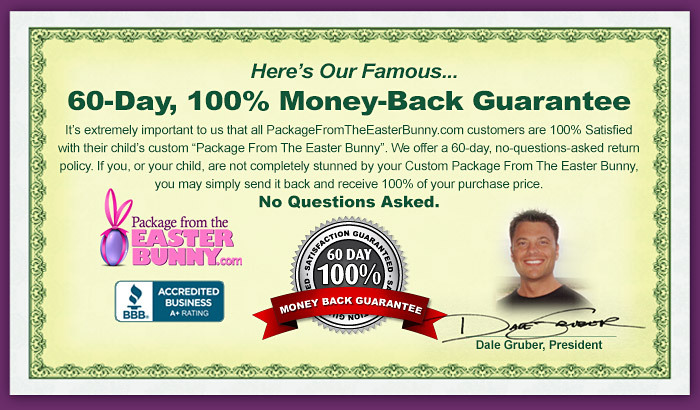 Each package contains the genuine personalized letter from the Easter Bunny. 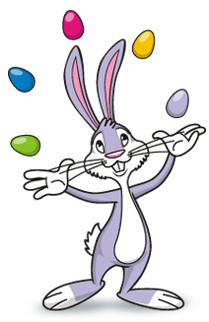 It's a treasure chest of authentic, custom Easter Bunny goodies, sent right to your child! Order Now! Get Your Free Easter Bunny Bonuses Now! "Package From The Easter Bunny is #1!" 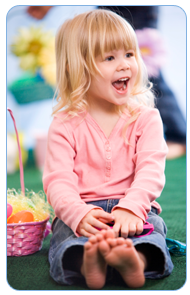 "The whole experience with Package From The Easter Bunny has been outstanding! My son still keeps his personalized Easter Bunny letter taped on his wall!" "My daughter's head almost hit the roof when she received her personalized letter from the Easter Bunny! I'll be back every year!" "The Package from The Easter Bunny was great! My daughter is 9 and now she still believes! Thank you!" "My nieces were so excited to get their Letters from The Easter Bunny! They were also floored with the the personalized call from the Easter Bunny! Thanks Easter Bunny, we love you!"" The Best Satisfaction Guarantee in the Business! © Copyright PackageFromTheEasterBunny.com All Rights Reserved.